My first public "belly shot," at about 14 weeks. In addition to the undiagnosed disease that I was fighting, I also was suffering from undiagnosed postpartum depression, which made me angry and irritable. I loved all my kids, but I was feeling overwhelmed and exhausted. I was physically and emotionally drained. I recognized my depression about 6 months after August was born, and was able to address it. And a little over a year after his birth, at the poorest health of my life, I was diagnosed with Celiacs Disease and was able to start healing physically. So it wasn't until August was about 15 months old that I felt like I had my own body and mind back. I wanted to have more children eventually, but the idea of having another baby any time soon sent me into a panic. The exhaustion, sickness, strain and pain of pregnancy was terrifying to me, as was the idea that it might take me years to recover from it. And I had two four year olds and an eighteen month old to take care of, too! We also had just bought a house, so in addition to taking care of me and our kids- Travis was faced with the financial strain of paying a mortgage and paying for lots of new medical bills. So Travis was even less interested in having babies than I was. 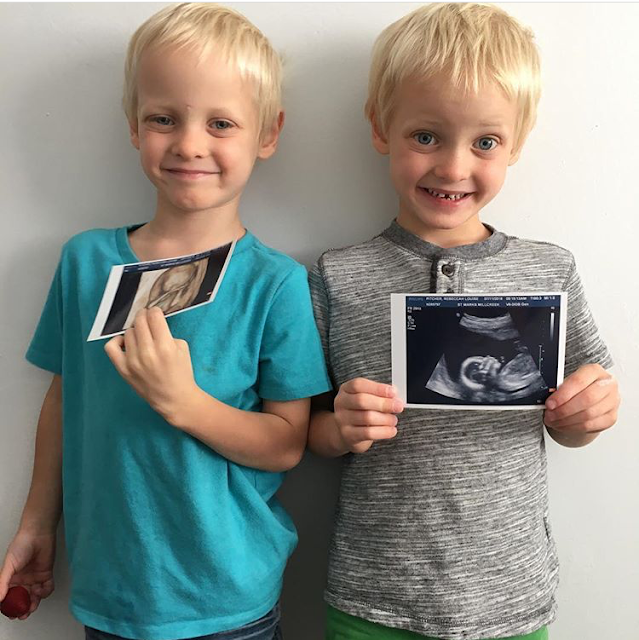 In October of 2015, we started listening to General Conference (a two day world-wide broadcast by leaders of the Church of Jesus Christ of Latter-Day Saints), and having another baby was not even on our radar at all. We were not pondering or praying about it. We were not looking for inspiration as to whether or not we should try for more kids. Elder Nelson gave a talk called, A Plea to My Sisters. As he spoke about the importance of women in the fight for good, I felt the spirit very strongly. Then he said, "We need women who have a bedrock understanding of the doctrine of Christ and who will use that understanding to teach and help raise a sin-resistant generation... We need women who have the courage and vision of our Mother Eve." As he said these words, I felt a very strong spiritual impression. First, I heard in my mind the words of Mother Eve saying, "It is better for us to pass through sorrow." And I felt a very strong impression that I needed to begin preparing for another baby- and that it would be difficult and even heartbreaking. I almost laughed out loud. I was not interested in another baby! God knew this. And if he was trying to convince me that I should have another baby, why would he do it while telling me that this baby would bring me sorrow? Despite my annoyance at my Heavenly Parents for giving me such direct and unappealing instruction- I had felt the spirit very strongly. I knew what was expected of me. Over the next few days, I began (rather half-heartedly, I admit) to pray that I would feel a desire to be obedient. I did not ask, "Should we have another baby?" (I knew the answer already), instead I prayed - often saying things like, "I don't want another baby now. If I am supposed to have another child, help me feel a desire to do so." I prayed like this for about three months, and although I didn't realize it at the time, my heart was beginning to soften. I had told Travis of my impression- but since he didn't want another baby yet either, and since he had not received any such prompting, I believe that his prayers concerning the new baby were even more half-hearted than mine. Only occasionally in our prayers together did we mention the fact that we were supposed to be preparing for another baby. And I don't think I told him that this baby had been promised to come with sorrow. In January of 2016, I was standing in my kitchen with several other women. One of my friends said, "I think I am ready to start trying for another baby." "So am I!" I said, surprising myself as I said it. And even more surprising, I realized as I spoke that I meant it. 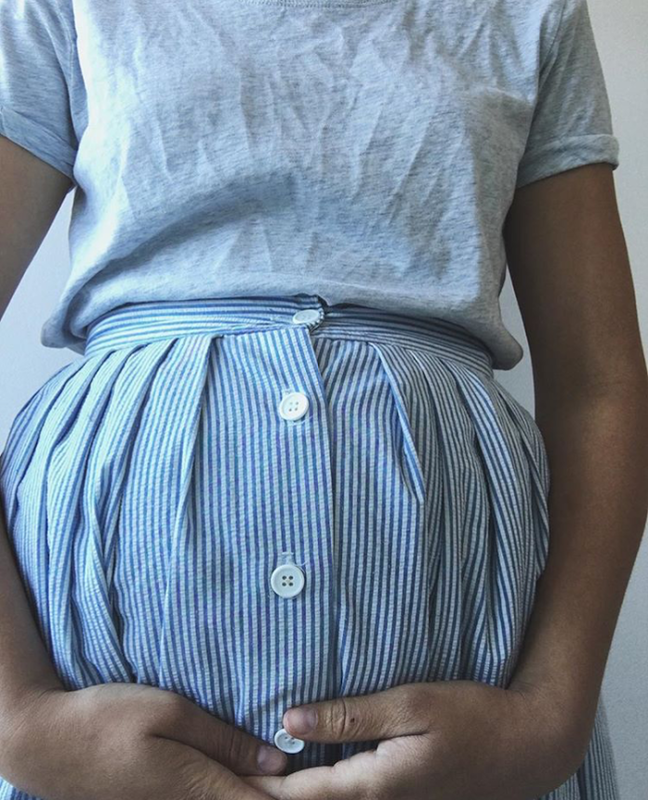 I was still very afraid to have another baby (or more specifically, to be pregnant again), but I finally felt like the difficulty of pregnancy would be worth another child. Now that I felt a desire to have another baby, Travis and I discussed the possibility again. He was still adamantly against having a baby. He wanted to wait another few years- after our home was a little less chaotic. I urged him to pray about it, and we visited the temple together several times and prayed about the baby. He still did not receive any promptings about the baby. Meanwhile, I started to feel an increasing desire to be obedient. I knew what was expected of me, God had given me time to prepare my heart- and now, I wasn't being obedient. I wasn't following instructions. It made me feel anxious and unhappy. God had answered my prayers- I wanted to obey! Around this time, I also had the almost constant impression that I couldn't find my baby. I would wake up in the middle of the night, searching half-awake through my sheets and blankets for the baby that I was sure needed to nurse. When I buckled kids into the car, I was constantly counting, "Grey, Micah, August, and... where's the baby?" More than once, I rushed into the house, shouting to Travis, "We forgot her inside!" or "We're missing someone!" Only to find myself standing in the kitchen, realizing that I didn't actually have another baby yet. "Who are we missing?" I asked every day, on walks, at the playground, at the store. I kept feeling that one of my children had wandered off- and yet they were all there. I knew who we were missing. And so we began. I explained that I felt a desire to be obedient. I explained that God wanted us to have another baby. I told him lots of things that were personal and heartbreaking, and I sobbed through the whole conversation. But the thing I said most often and empathetically was, "She is waiting. She's waiting and she's anxious. I can feel her waiting, and I want her here with us." Travis wasn't quite ready to agree to having another baby, but he did agree to pray and ponder whole-heartedly and not half-heartedly. 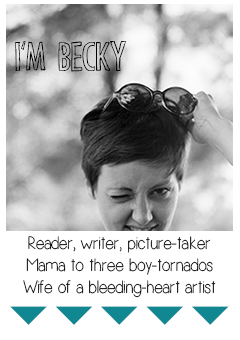 In April, 6 months after I received the impression to prepare myself for another baby- I was pregnant. It had taken Travis and I each about three months to accept the idea of having another child. My pregnancy was amazing. It was easy, and I felt good. I was able to hike, travel, take care of the boys, and didn't throw up a single time. I felt so blessed- but I also felt worried. What was this sorrow that I was supposed to prepare for? If the sorrow didn't lie in my pregnancy, then should I expect it in my daughter? Would be be disabled? Sickly? Would I lose her in childbirth? I felt panicked as I tried to remember exactly what I had felt when I was prompted with those words, "It is better for us to pass through sorrow." But over the months, I also felt peace. I felt reassured that whatever happened, was supposed to happen. God doesn't make mistakes. And if there was something "wrong," it would be better than if everything was "right." It would be what we needed, what was right for our family and our daughter. 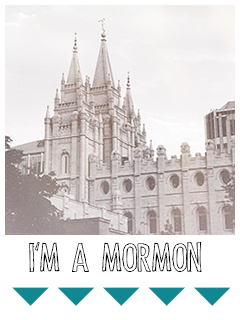 As I attended the temple, prayed, and read my scriptures looking for answers - I realized something. When Eve tells Adam, "It is better for us to pass through sorrow," she isn't talking about a specific event. She isn't referring to death, disability, or Cain killing Abel. She is talking about life. About mortality. Everything. It is better for us to be alive and have families, even if it's hard. It is worth any heartbreak. And I felt sure that God wasn't promising me a big, huge problem. He was promising me a baby. And babies are hard. Children come wrapped up in heartbreak, in sickness, in sleepless nights, and broken arms, and angry words, and growing up. And it's all worth it. The sorrow of having children is worth it, because babies also come with more joy than could be imagined by non-parents. Maybe God was referring to fear that I felt of pregnancy. I needed to overcome that sorrow. Maybe he meant the sorrow of wanting to be obedient and not being able to. Maybe he meant the difficulty and pain of childbirth, or the sleepless nights and acid reflux that we're dealing with now. Maybe there is something big, lurking around the corner. Maybe there is sickness, death, heartbreak and sorrow waiting to spring on us. But now that we have Louise, I know that he was right. It is better to pass through sorrow. She is worth it. She is worth the heartache that I've already endured for her- and all the heartache that will come, just as all my boys were and are. I am grateful that God knew what we needed better than we did. I am grateful that he told us to prepare our hearts and home for Louise, even though we were scared- even though it took a long time to find the desire. Because by the time she got here, we were all anxiously awaiting her. I don't think we could have lasted much longer. (A note: If you are not a member of the Church of Jesus Christ of Latter-Day Saints, you might be confused by our beliefs about Eve. So let me sum them up. Unlike most other Christian religions, we don't believe that Eve made a great big mistake in the Garden of Eden all those years ago. We believe she made an important and brave decision. When God told Eve that she would die if she ate the fruit of the tree of Knowledge of Good and Evil- it wasn't a threat. It was an explanation. Eating the fruit of the tree wouldn't kill Eve, but it would make her mortal. It would introduce grief, pain, and death into the world- but it would also introduce life. Eve and Adam would be able to bear and raise children. Eve's decision to become a mother was brave and selfless- she gave up the ease and comfort of a painless and eternal life, and it allowed each of us to be born and live and die. This is such a beautiful story! Being a mother is hard, but so beautiful and full of joy. And I cannot thank you enough for sharing that article about Eve. It is AMAZING. I haven't been on your blog for months but this is a beautiful post and I felt like it is an answer to my prayers. Thank you for being so open. I felt like I was nodding yes the whole time to everything you were saying. That was also a great explanation about Eve in our religion and the quote about sorrow is priceless.